Our workshops are designed to involve women who are authentic and want to help advance womankind. Erin Phillips brings her passion for empowering women to the Magnolia Insights team and uses her experience to promote GET NOTICED and contribute to event operations. She also has a food instagram with her twin sister, @empty_platez; and teaches group fitness classes. Erin is a sophomore Marketing and Information Systems major at Loyola University of Chicago. 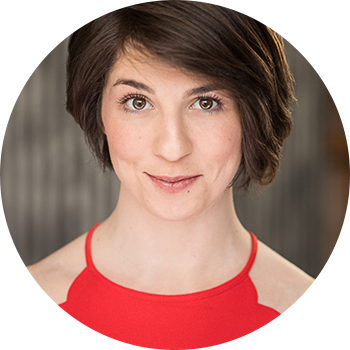 Sarah is a professional actor, teaching artist, audiobook narrator, and casting director in the lovely city of Chicago. She is an active member of Interrobang Theatre Project where she has performed in several shows over the years, including the one woman show The Amish Project in 2016 (nominated for Best Solo Performance at the Joseph Jefferson Awards). She is so excited to be involved with Magnolia Insights and their GET NOTICED workshops, and is so grateful to Tania and Lynn for letting her join the team! Dani is very very excited to be working with Magnolia Insights to make Chicago Woman Week a great success! Graduating from Columbia College in 2011 to pursue a career in acting and stunts, Dani found her passion working on Indie films, so she started a production company in 2015 called, Reutan Collective; focusing on local artists and building a network of actor/combatants, writers, directors, filmmakers, etc. here in Chicago. Dani is also a Real Estate Consultant at North Clybourn Group and works other odd jobs, as well. Jill Brown brings over 20 years of experience in the event and meeting management world to the GET NOTICED team. She splits her professional time as a freelance event manager and as an Independent Stylist for Cabi, a women's clothing brand. Cabi allows her to share her passion to empower women through fashion, grow a business and by giving back through the Heart of CAbi Foundation. Much of her time is also spent parenting two active boys; a road warrior to gyms and baseball fields throughout Chicagoland.